When you are waterproofing concrete, masonry and other cement-based materials you prolong the life and durability of the structure. 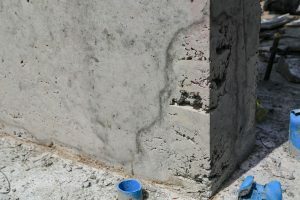 Whether you are preserving a cinder block wall, a concrete floor or poured concrete walls, keeping water out of concrete is a great step toward better longevity. In some parts of the country, if you have masonry, concrete or block walls, it is required by law and building code to waterproof these structures. A high water table, flood-prone building area or high rain levels dictate these types of waterproofing codes. In high-rise buildings, all substructures have to be waterproofed. They are load-bearing walls for incredibly heavy complexes and a material breakdown is unacceptable. Not only does it start looking bad, but it’s also getting weaker. You have probably seen surface damage on a sidewalk or old mortar. The concrete erodes, exposing matrix materials and base concrete. In extreme cases, water will destroy concrete quickly, but generally, it takes a few years to start showing. If you see damage on the surface of the concrete, it’s a safe bet the underlying structure of your wall or floor is damaged too. If you want a concrete project to maintain its strength and fresh appearance, you need to waterproof it. When you waterproof concrete you are also protecting the re-bar inside the concrete from rusting and eroding. Some other benefits of waterproofing concrete. It prevents mold and mildew from getting into the walls and floor. This makes waterproofing essential to structural integrity and health. It reduces maintenance costs and clean-up. With waterproof structures, you have a lot less work to do when cleaning up after a heavy rainstorm or flood. Basic maintenance is much easier, the waterproof factor keeps things clean. Waterproofed walls and floors increase property value. When the time comes to sell, a waterproofed basement or sub-floor is a good selling point. No one wants to buy a house with water problems. Make sure the surface is clean and dry. Use a scraper to remove old paint or wall/floor coverings. Sweep everything to ensure no dirt is hiding that you cannot see. If need be, use a warm water and soap mix to scrub walls or floors, making sure to rinse after you scrub. Allow drying thoroughly. Patch all holes with a hydraulic expanding concrete mix. Allow the patches to dry for a minimum of 24 hours. Tape off all items extending onto the floor or the walls like stairs or electric boxes. The importance of quality materials. Make sure you use high-quality products to waterproof your concrete. Inferior products waste too much time and money. 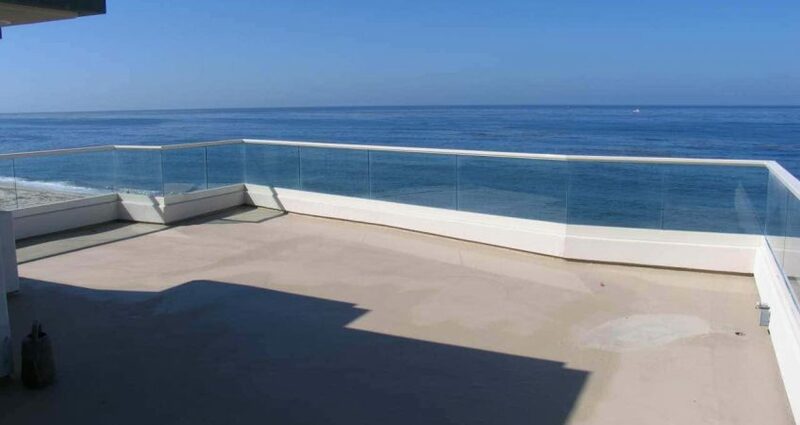 At Pli-Dek we have over 35 years of experience manufacturing and applying all types of waterproofing systems. When you are ready for more information on waterproofing concrete please contact us.